Case of 4. Wide-mouth 1 gallon glass jar. Perfect for fermenting beer, wine, cider, or kombucha in small batches. Lid sold separately. 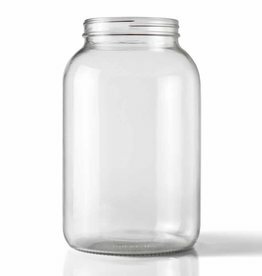 Wide mouth clear 1-gallon glass jar. Perfect for fermenting small batches of beer, wind, cider, mead, or kombucha.